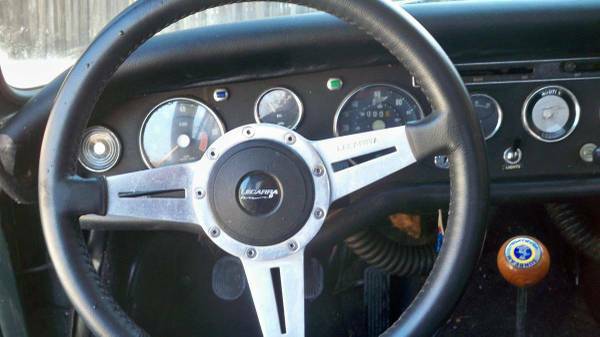 Many car publications/forums say the answer to any car related question is the Mazda Miata. If the Miata is too mundane and you need something with more savior faire, today's affordable classic Sunbeam Alpine is a good option. The Alpine model was fitted with a four cylinder engine that put out 90 some odd horsepower so it was not nearly as potent a performer as the Ford V8 fitted Tiger model. The Series V 1965-1968 Alpine's were the last of these cars and arguably the best looking. 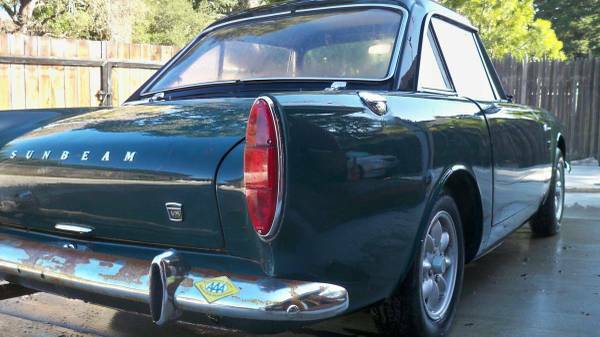 Find this 1967 Sunbeam Alpine for sale in Woodside, CA for $8,999 via craigslist. Tip from Fuel Truck. 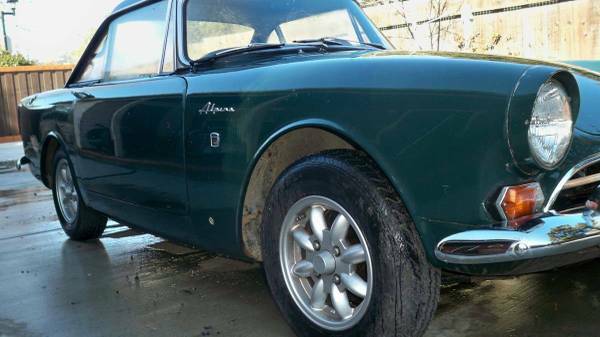 Beautiful all original British Racing Green 1967 Sunbeam Alpine with rare factory STEEL hardtop. The car also has the convertible top frame and top with cover. Including the passenger cover when the top is down. Clean rust free, never been in an accident. New brakes, lines and hoses. Fuel tanks flushed and carbs rebuilt. Come and see it for yourself. Has the some spare parts in the trunk. Spare tire and wheel match the ones on the car. These are the same cars that came with a Ford V8 better known as Tigers. Ready to drive to it's new home. You used to be able to pick up Sunbeam Tigers for around 20-25k before Carroll Shelby passed away, but the prices have soared since then. The Alpine cars provide a lot of value for the dollar with the same classic looks. The color matched steel hardtop is a big plus to this particular car.